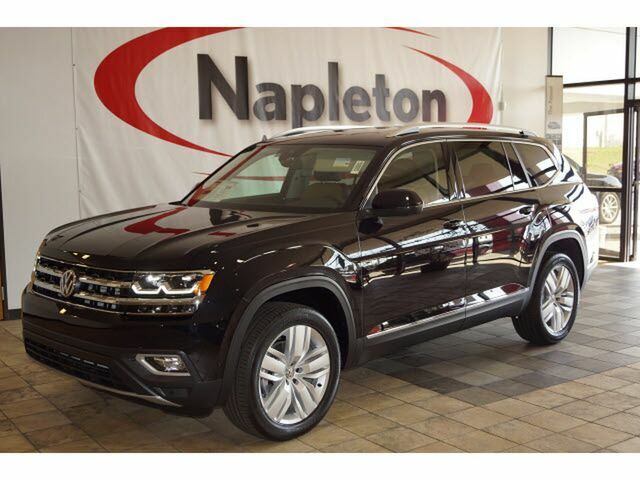 This outstanding example of a 2019 Volkswagen Atlas 3.6L V6 SEL Premium is offered by Napleton Autowerks of Missouri. Want more room? Want more style? This Volkswagen Atlas is the vehicle for you. There's a level of quality and refinement in this Volkswagen Atlas that you won't find in your average vehicle. This Volkswagen Atlas is equipped with AWD for improved handling. Whether you're faced with inclement weather or just out enjoying the twisting back road, you'll have the grip of AWD on your side. This is the one. Just what you've been looking for.